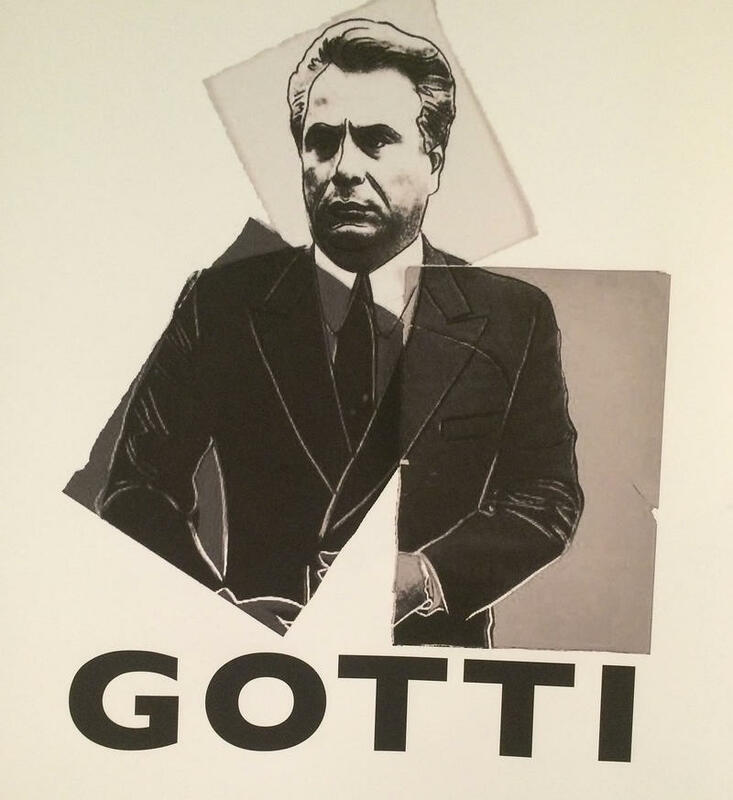 Movie poster for "Gotti," which opens in theaters on June 15. The Hollywood Reporter and IndieWire called it "pretty terrible," "cheap-looking," "bad," "amateurish," "incoherent," "tedious and episodic" and "poorly written, devoid of tension, ridiculous in spots and just plain dull in others." Oh yeah: One reviewer compared John Travolta's Gotti performance to Alec Baldwin's Trump impersonation. 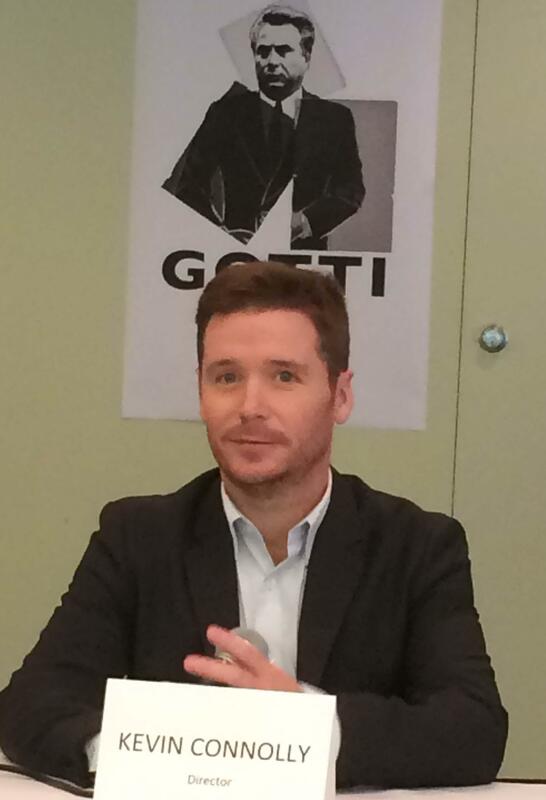 Director Kevin Connolly at a "Gotti" press conference here as filming wrapped in August 2016. "The fact that it mostly portrays John Gotti as a loving family man and altogether likable guy, and his son John Gotti Jr. as a victim of government persecution, may be a first in the history of the genre. Leave it up to 'Teflon Don' to get a movie made that seems to clear him of all charges more than 15 years after his death," says the unbylined Hollywood Reporter review. "It's a strange thing to say for a guy convicted of murder, but John Gotti deserved better than this amateurish biopic," writes IndieWire critic David Ehrlich. In a backhanded compliment, Erhlich praises director Kevin Connolly, best known as an actor on "Entourage," for using footage of the real Gotti in the opening "because John Travolta's performance is hammy enough that we need hard evidence he's playing a real person." Travolta, also a producer on the film, "plays the Teflon Don like a cross between Ray Liotta and Alec Baldwin's impression of Donald Trump," Ehrlich says. The Hollywood Reporter says that Travolta, "wearing a perma-tan and mounds of makeup," provides a "lively presence in some scenes, talking in a rowdy New Yawka accent and tossing off a few good lines early on… But he can do little to bring this tedious and episodic chronicle to life." When filming wrapped in August 2016, Connolly praised Cincinnati for providing locations that looked like New York City. Ehrlich wasn't impressed. He said it was "a cheap-looking film that expends zero energy attempting to capture period detail." The Hollywood Reporter put it this way: "Made on a purported $10 million budget, the film was shot in Cincinnati and tends to feel like it, with a few aerial images and Brooklyn exteriors reminding us that this is New York." "Gotti" publicists asked the press at Cannes not to review the film, since the premiere was a "private screening," not part of the competition. They apparently wanted it both ways: Positive stories about "Gotti" premiering at Cannes without any bad reviews before the film opens in theaters June 15. When I emailed Rogers and Cowan, the large Los Angeles public relations company, asking for "Gotto" photos Monday, I was told: "The film is not being screened for reviews at this time, and we've asked for an embargo from any critics who see it prior to release. We want audiences to experience the film for themselves, as I'm sure you understand." John Gotti was known as the "Teflon Don." Maybe they're hoping these scathing "Gotti" reviews won't stick. 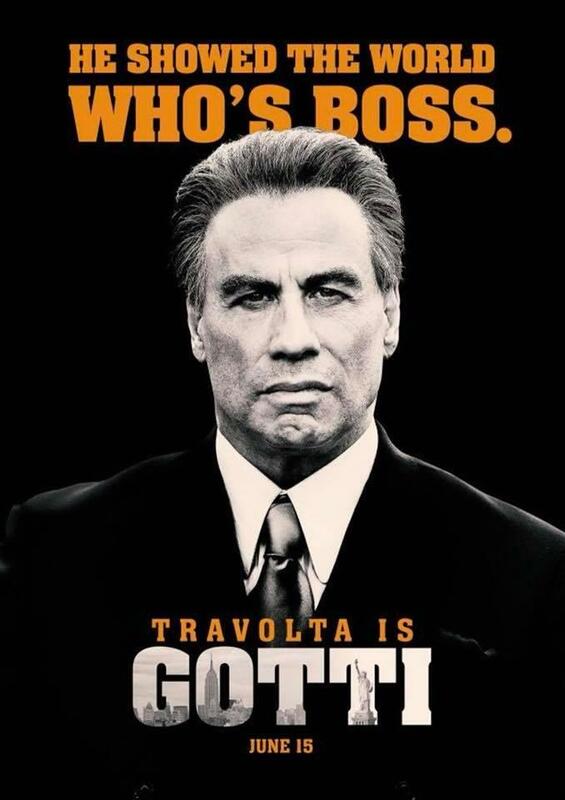 John Travolta's Gotti movie, shot here in the late summer of 2016, finally will arrive in theaters June 15. 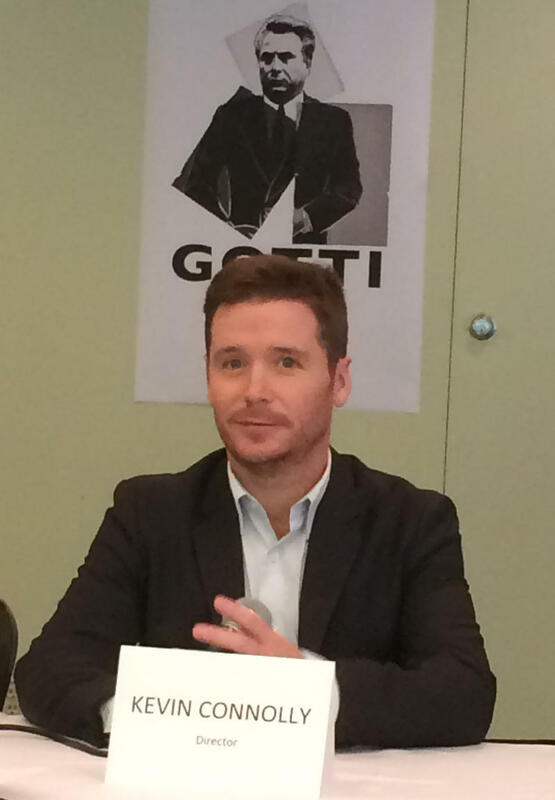 Director Kevin Connolly thanked Cincinnati for help making "The Life and Death of John Gotti" with John Travolta Monday, as Nicole Kidman and Colin Farrell started shooting the city's newest movie, ""The Killing Of A Sacred Deer."